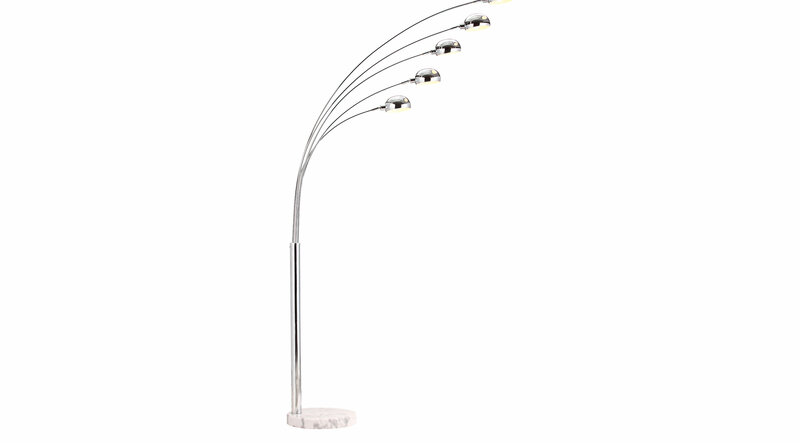 The Boydell floor lamp has five arms that fan out in all directions, like stars in the sky. Constructed with a round marble base and a chrome body. Shift your personal cosmology in the directions you need it most.